The hunt for the perfect case appears to be a never ending struggle for me, some days I want something with max protection, some days I want a super slim case, and others I just simply want the device as is, with no case. 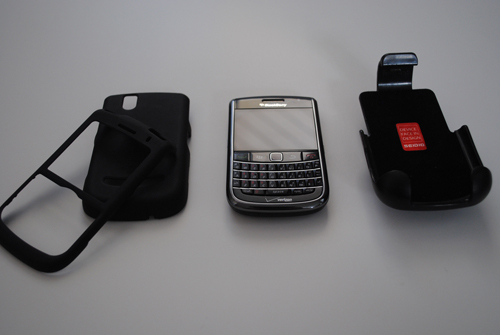 While looking for a slimmer, form fit case I stumbled upon the Seidio Innocase Surface for the BlackBerry 9650, and was intrigued at the fact that it had a locking holster available that allowed the device in the case to still fit. Needless to say, curiosity killed the cat, I placed the order and was definitely eager to check it out. As soon as the case arrived I tore open the packaging and slapped the case on the device, and my initial impressions were very positive about it. The case is a two piece snap on design, one from the back and then the front snaps over the top of the device, and clicks around the sides with some simple snaps. Once the case was snapped on the device, I took a glance around it to see how it fit and to make sure that it didn't interfere with the basic uses of the device. Above the trackpad there is a small cut out to allow for easier use of the trackpad, which is a very nice feature because if it got in the way of trackpad use it would have been coming off immediately. The top of the case has a cut out for the mute and lock buttons, which I personally would have preferred to have them covered with a way to press them like we have seen in other cases, but this was just personal preference. 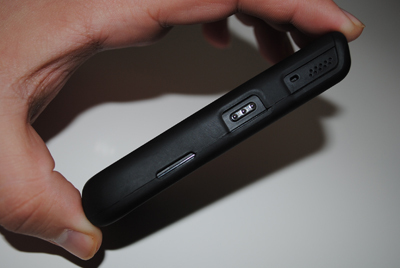 The left hand side has an opening for the speaker and convenience key, and the right hand side allows for easy access to the headphone jack, volume rocker, and convenience key. 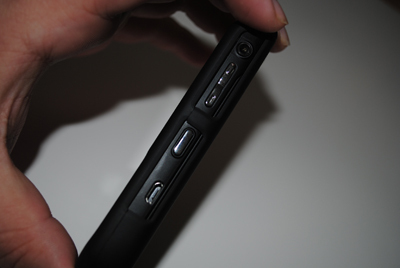 The back has a cut out for the camera and flash at the top, and the bottom allows for view of the charging dock contacts. 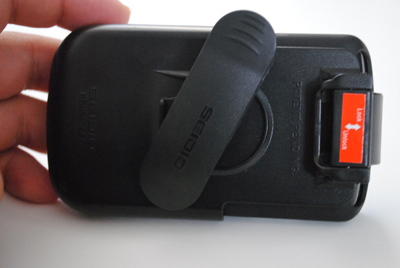 The lock holster is a very simply designed holster that holds the device in a front facing direction, keeping the screen protected while in the holster. The inside of the holster has a felt liner, so it adds protection while moving the device in and out of the holster. The holster is called a "lock holster" because once the device is placed inside there is a slider that allows you to lock the device in, or unlock for easy removal. On the back of the holster there is a ratchet style rotating belt clip that is very well constructed, and actually requires a bit of force to move it. 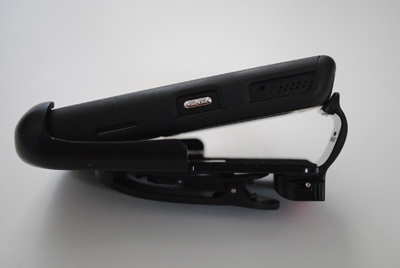 As a whole the combo of the lock holster with the Innocase Surface is great for those who are looking for a slim profile case that will cover their device, and still allow for the use of a holster. One thing that I noticed during use was that where the two pieces snapped together in the back of the device, it always seemed as though the back piece would pop out from underneath the other piece, and it required constant repositioning. Had the case instead clicked together at the top of the device, instead of the back it is possible that this could have been prevented, and I am also not sure that it happens on all cases, or just this one. 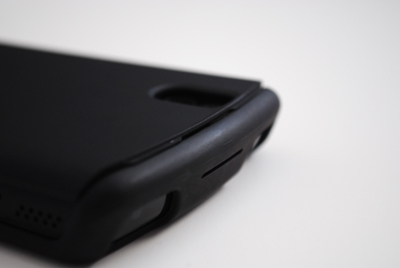 Overall the positive aspects of this case outweighed the negatives, and I would certainly recommend heading to the ShopCrackBerry store and picking one up for yourself.